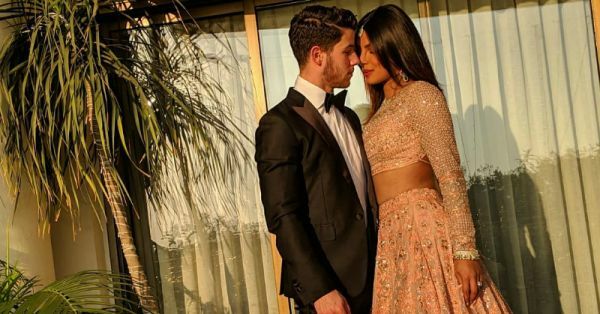 Nickyanka Are Newlyweds In Love At The Ambani Wedding, But Will You Look At That Lehenga? We are by now, well versed in every happening of their fairytale romance (one that continues to make us swoon even now), the happenings of their lavish wedding, and basically, all things related to this super-stylish couple. And of course, here we are with yet another look that we just L-O-V-E.
Take a look for yourselves to see what we are talking about. Clad in a peach-hued lehenga by Jade by Monica and Karishma with embellished details, Priyanka Chopra, or Priyanka Chopra Jonas, if we may, looked nothing short of a million bucks. The symmetrical bling is fit for a princess, so it's only natural that our favourite actress donned it. Paired with a sheer, embellished dupatta, the actress looks simply stunning for the Ambani wedding, and we are truly speechless. The jewellery by Anmol Jewellers is high on the bling factor too- we can spot earrings, rings, bracelets, and a maangtika as well. And while we might have to wait for the closeups of these gorgeous details, we can say with surety that we are already sold. Wait until you check out her backless tie-up blouse. Spoiler alert: it is SO hot! Speaking of Mr Jonas, the singer and songwriter kept it dapper in a classic black tux, complete with a bowtie. And since Nick jiju isn't like all others, there are also uber-cool tape details on the sides of his trousers. All the guys out there, are you taking notes? Because you should be! 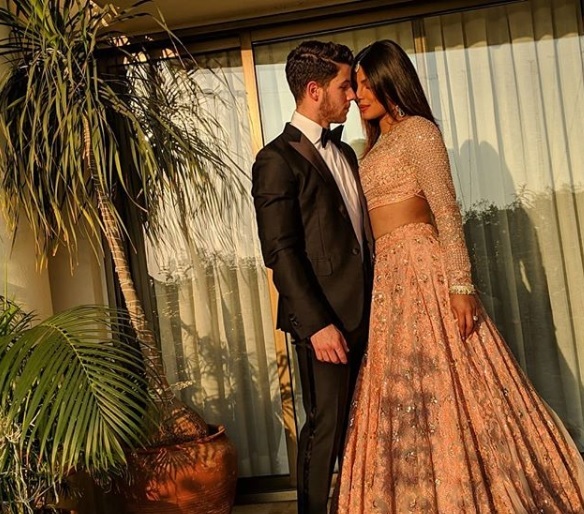 We love how Nickyanka is flaunting unique looks that not only blend well together but are a mix of traditional and contemporary, just like everything in their love story and their wedding(s). Their current looks as guests come as a slight contrast to their previous celebratory outfits, which were designed by leading fashion designers like Sabyasachi, designer duo Abu Jani Sandeep Khosla and, of course, the legendary Ralph Lauren. Now, waiting with bated breath for those close-ups, and any other looks this dapper couple will serve up. 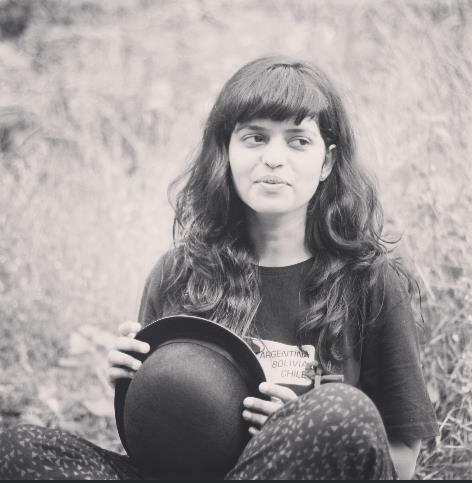 Stay tuned for more updates from the Ambani wedding! We have all the deets!